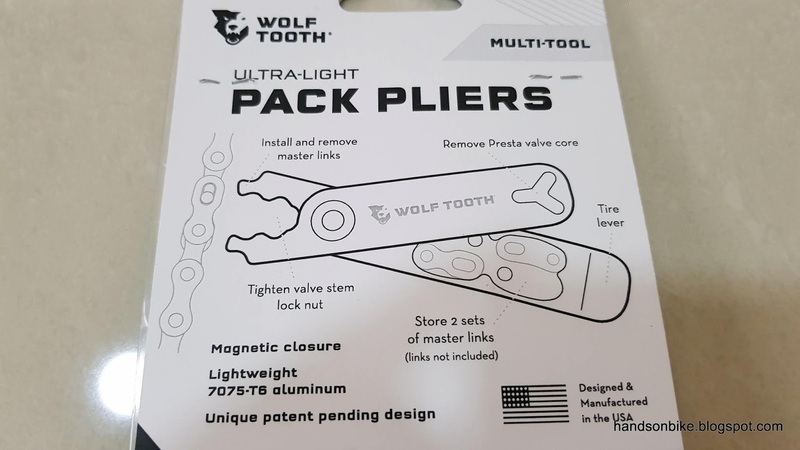 While ordering the DropStop chainring from Wolftooth recently, I took the chance to include a new tool from Wolftooth with the same order. As chain quick links are becoming more common, I found that these quick links are also becoming harder to open by hand. 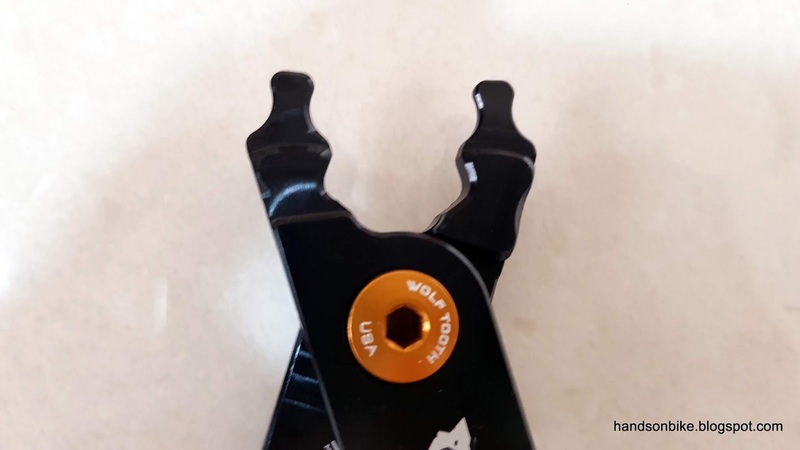 Many years ago, when I first used a quick link on a 9 speed chain, it was still possible to open the link by hand, as it is not so tight after installation. However, with the latest 11 speed quick links, these links are very tight and quite impossible to open by hand. If you do need to open a quick link when you are out riding, it will be very difficult if you don't have the proper tools. 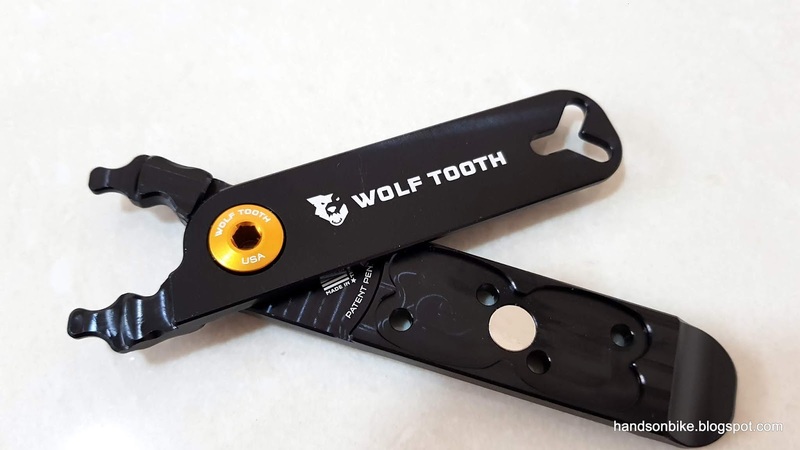 This tool from Wolftooth aims to solve that problem, by creating a portable quick link tool that also has multiple other functions. Pack Pliers from Wolftooth, which is primarily a quick link tool. There are other colours offered for the gold coloured bolt in the middle. Other than opening and closing quick links, it can also store quick links, open Presta valve cores, while also acting as a tire lever. 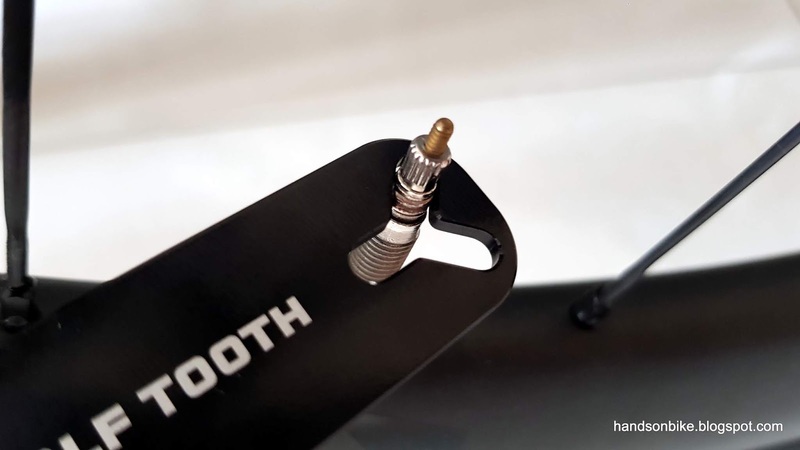 The Y-shaped slot is designed to fit around a Presta valve core, if you need to tighten it while on the go. It is useful as I have encountered situations where the valve core loosened when unscrewing a pump head. Tip of the plier is designed to open or close a quick link, or to clamp anything if needed. I expect it could be used to hold or rotate a nut if needed. 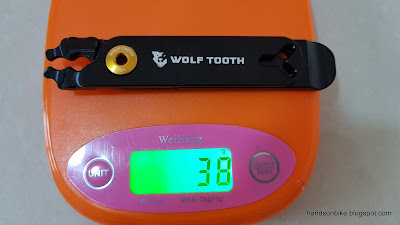 Weighs 38 grams, with no chain quick links included. 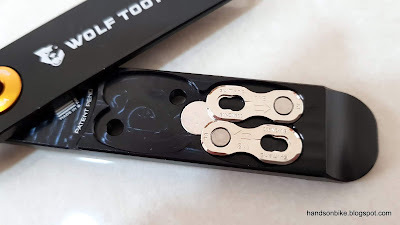 The lever body has space to hold two pairs of quick links, via a round magnet in the middle. Quite innovative I must say. The magnet also holds the other arm of the lever closed. 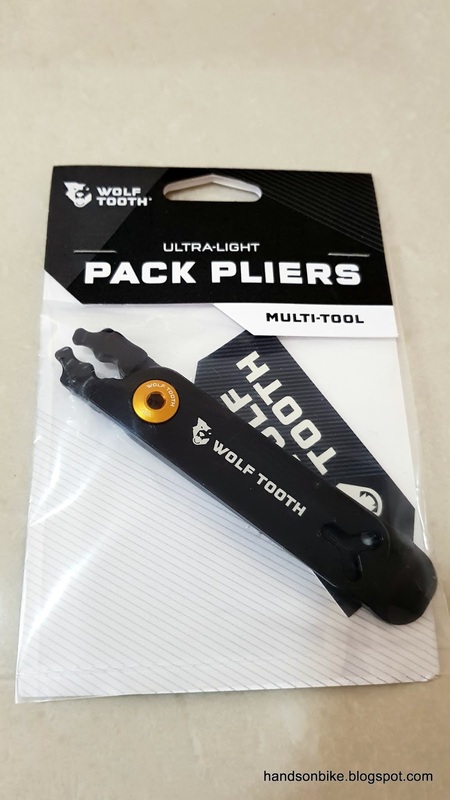 With this additional tool, it improves the ability of the tool kit to deal with most situations that we might encounter while out riding. The most significant addition is the ability to open or close quick links easily, while the other function is to tighten a loose valve core. I will not need to use the tire lever function as I have a pair of Schwalbe tire levers for that. With the addition of this Pack Pliers, the tool kit on my Canyon Endurace now weighs 518 grams. 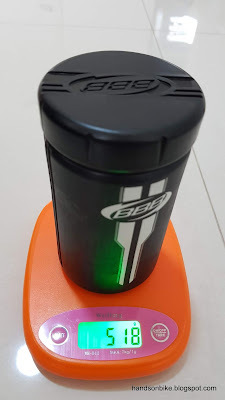 If you add a half-full water bottle to the bike, the total additional weight of the tool kit plus water bottle plus Lezyne portable pump would be around 1.1 kg. Add the rear lights, front lights, cycle computer + mount, 2 x bottle cages and it is probably another 400 grams. This means that even a relatively lightweight road bike of 7kg (without pedals, 7.4kg with pedals) will finally weigh something like 8.9 kg with all the accessories included. Not lightweight any more, so unless you want to take the risk of going without tools or lights or water bottle, this is additional weight that you have to carry around. In comparison, this additional 38 grams from the Pack Pliers is nothing! The Schwalbe Ones are now 25mm, they stopped making the 23s a long time ago.